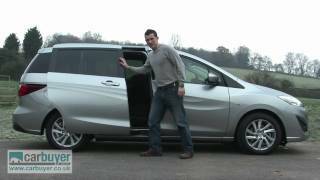 Great news for Mazda enthusiasts in Britain as the car manufacturer has recently announced their plans on launching a Mazda 5 Venture Edition 2012 in the UK later this year. The new variant boasts more features than before and more customization options, alongside standard features that include gun metal finish alloy wheels and the Sanyo TomTom Navigation system. 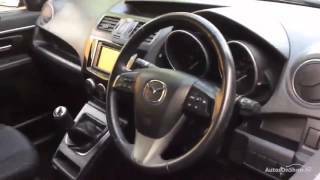 The Mazda 5 is not the only model that will receive the same treatment however, because the car maker plans on launching the Mazda 3 Venture Edition at the same time as its larger sibling. The new trim level will be based on the existing TS2 and that means the Mazda 5 Venture Edition will be offered with one of two engines. The first choice will be the 1.6 liter diesel engine that develops 114 horsepower and the more powerful 2.0 liter petrol engine developing 148 horsepower. In terms of aesthetics the new trim level adds a new set of side skirts, tinted windows, front fog lights, a rear spoiler and a new front grille. A new set of gun metal alloy wheels are also included, measuring 16 inches on the Mazda 5 and 17 inches on the Mazda 3. 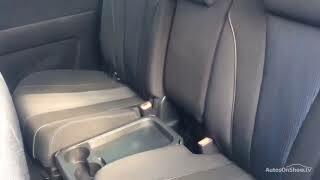 On the interior the Venture Edition adds the cruise control, air conditioning, Bluetooth connectivity and sat-nav on both the Mazda 3 and 5, but where the 3 receives heated sport seats the 5 will instead receive a Piano Black center console. 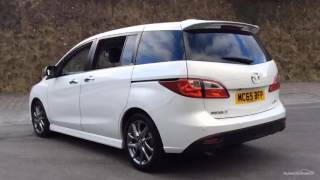 In case you're looking for a family car then the Mazda 5 is the one you might be interested in. It has a wheelbase of 2,750mm resulting in plenty of space and three rows of seats. The third row of seats can also be split 50/50 and be folded flat on the floor. Cargo space is 1,485 when loaded to the roof or 857 when loaded to the belt line. Other features that you will find in the Venture Edition includes front, side and curtain airbags, traction control, cruise control, dynamic stability control, remote central locking, a CD radio with iPod connectivity and six speakers as well as a Thatcham Category 1 alarm. 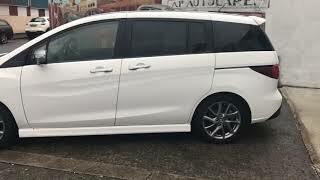 Price wise the Mazda 5 Venture edition will set you back £19,995 for the 2.0 liter petrol engine, whereas the diesel 1.6 liter version will cost £21,290. In case the 5 is not really what you were looking for then you should take a look at some alternatives such as the Ford Escape or the Honda Odyssey.